The Friedrich Ebert Foundation supports international students from Africa, Asia, Latin America and Eastern Europe who study at universities in Germany. International students from all subjects (except the medical disciplines) are eligible to apply for this scholarship. Eligible Countries: Students from Developing Countries already studying in Germany. About the Award: The promotion of young talent has been one of the founding principles of the FES. At the time when Friedrich Ebert was elected as the first president of the Weimar Republic, it was almost impossible for talented children from socially disadvantaged backgrounds to study at universities or take part in research programmes. With the foundation of the Friedrich-Ebert-Stiftung in 1925, the first scholarships were awarded to particularly talented young individuals from a working class milieu who were taking an active part in the young democracy of the Weimar Republic. To address social disadvantages by supporting students who actively work for freedom, justice and social cohesion in their commitment to social democracy, or will do so in future, continues to be one of the aims of the FES. Eligibility: The FES can only award scholarships to applicants from abroad who have already enrolled in a German university or have a supervisor for their doctoral studies. For the FES, service to the common good deserves recognition. It is therefore not only the applicants’ academic achievement but their social and political involvement and personal attitudes that play an important part in the selection process. The FES also supports foreign applicants who are already studying, or doing their postgraduate studies, in Germany at the time of application. 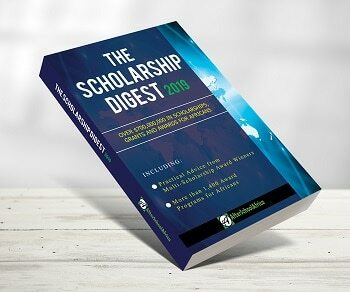 Up to 40 students from Africa, Asia, Latin America and Eastern Europe may qualify for the scholarship programme every year with the exception of those who are already receiving some support from public sources. Since foreign scholarship holders will receive an extensive social and political side programme, German language proficiency is crucial even when the study programme itself (M/B) is carried out in English. We do not support foreign students from Western European countries at present, but only those from the developing countries of Asia, Africa, Latin America and Eastern Europe. At the time of application, foreign students should be able to submit proof of their initial academic achievements/marks with the exception of those enrolled in Master or other postgraduate programmes. Number of Awards: This year, about 2.700 students and postgraduates will receive a grant from FES. any income exceeding 400 € per month will be credited against the scholarship. to continue and intensify their socio-political commitment. At the end of each term, a semester report has to be submitted to FES which describes the scholarship holder’s current academic performance and his/her social engagement. Individual interviews: In a second step, selected candidates will be invited to two individual interviews. The first interview will be conducted by one of the lecturers from the FES, and the second interview by one of the members of the FES scholarship committee (AWA). Two reports are written on the basis of these interviews and presented to the AWA. Discussion and final decision by the AWA: The AWA will eventually make a final decision about your application. The AWA is an independent body composed of university lecturers as well as other persons from the fields of science, politics, art and media. The committee meets at least three times a year. The AWA will discuss every application at great length and then make the final decision. Written notification: You will be notified of the AWA’s decision.